With little over 50 days left until the Morocco Desert Challenge, South Africa’s DAKAR 2018 Rookie Award champion Hennie de Klerk is in the final stages of preparing for this gruelling desert race, taking place from 13 – 20 April 2019. This year, the Morocco Desert Challenge span 8 days and cover just over 3,000 kilometres. It will cover a spectacular coast-to-coast route in which magnificent parts of the notorious desert will be represented. The 2019 route will have two and a half stages in Western Sahara (now Moroccan Sahara), and will offer fast tracks, technical parts, wide African plains, many dunes, salt lakes as well as legendary Paris-to-Dakar-stages. Hennie’s MDC rally car, his well-known Amarok, will undergo its last testing on Thursday 21 February. After that, the car, along with all its accessories and spare parts, will be shipped in a container to Spain, where Hennie and his team will collect it early April. From there, they will depart to Agadir in Morocco, approximately 1,200 kilometres from the port, where the official MDC scrutineering will take place to ensure that all vehicles meet the technical regulations. Roy Obery from Haval Edenvale and Lionel Lewis from LAS Sport, good friends of Hennie that also supported him at the Dakar, will be going for technical support at the race. 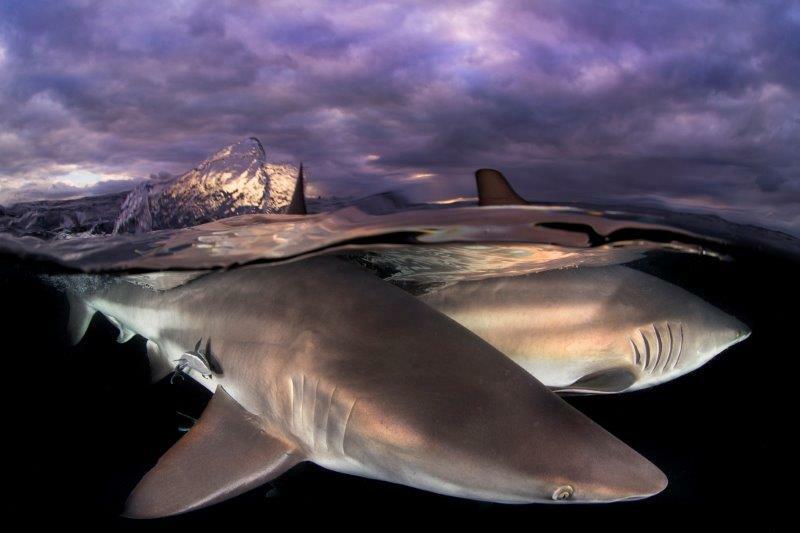 South African underwater photographer Allen Walker (Warner Beach) took the number one spot for the shark photography category at the World ShootOut 2018 awards held at the boot Düsseldorf dive show in Germany recently. “I am thrilled about having won the shark photography category of the prestigious World ShootOut. It puts South Africa firmly on the world map of underwater photography and will promote tourism to South Africa in the diving industry, more specifically shark diving which has become a very popular activity for underwater divers and photographers from around the world. Aliwal Shoal on the KZN south coast boasts with some of the best shark diving in the world and is definitely a must-visit attraction. I really hope that this will also strengthen South Africa’s resolve to protect these animals for future generations and the tourism industry,” commented Walker. Hundreds of photographers from around 40 countries around the world take part in the World ShootOut competition year after year, submitting thousands of images and videos, ranging from those that capture the calm lakes of the Nordic countries and Canada, showcase the exotic secrets hidden in Alaska and introduce the great dramatic white shark in the Gulf of Mexico. Nathan Pillay KST Fezile Dabi District Manager, Adv Tsoarelo Malakoane HOD FSDoE, MEC DR PHI Makgoe FSDoE, Kaya Nyati KST Stakeholder Relations Manager, Dr Chuta Fezile Dabi District Director FSDoE (Award recipient), Mr Mthombeni, retired senior official of the FSDoE. KST congratulates the Fezile Dabi District Grade 12 Class of 2018 for their remarkable achievement in the 2018 National Senior Certificate (NSC) examinations. They achieved 92.3% pass mark; an improvement of 2.1% from 90.2% in 2017; placing the district as the top performing district nationally for the second consecutive year. The Free State Province attained a 87.5% pass mark; an increase of 1.4% from 86.1% in 2017, placing the province at the number two spot nationally. KST, in partnership with the Free State Department of Education (FSDoE) has been implementing the District Whole School Development (DWSD) model in selected Quintiles 1 to 3 primary and secondary schools in the Fezile Dabi and Motheo districts for the past five years. On Saturday 19 January 2019, the Fezile Dabi FSDoE hosted its “Well-done function” at Kahobotjah Secondary School in Sasolburg. The aim of the function was to acknowledge and celebrate, through award categories, the hard work and contribution made by the district’s officials who include the District Director, Subject Advisors, Circuit Managers, Principals and Educators. Of the 59 schools in the district that wrote the 2018 NSC examinations, nine attained a 100% pass mark, 32 attained between 90% – 99 %, 14 attained between 80% – 89 % and four attainted between 60% and 79%. The district attained an overall 40.1% bachelor passes, whilst 36.9% was attained for Diplomas and 15.3% for Higher Certificates. These results are a bare testament that the DWSD model is indeed successful and sustainable. At this function KST also introduced the KST Revolving Trophy Award as a token of appreciation to the best performing district in the Free State Province. “In 2009, I had made a promise and commitment that we would turn around the district performance and propel Fezile Dabi to be the top performing district in the province; and the country, I had a lot of critics who were very sceptical that we would not be able to achieve this milestone; and we did it not only once, but twice and we will continue to grow and sustain these good results. I would also like to congratulate my fellow District Directors in the other four districts for their hard work, as a collective all five Free State Province districts are all performing above 80%,” said Dr V Chuta, Fezile Dabi District Director. Firmly embedded in its Sustainability Strategy, the main objective of KST’s DWSD model is to ensure sustainable learner outcomes and school functionality beyond KST’s intervention. “This outcome draws its foundation from the theory of change which states that “If the educator is capacitated through professional development and training, and the school environment is improved through investing in infrastructure, curriculum development and leadership support. And the district office is strengthened to better support the schooling system, then we can expect to see significant and sustainable improvement in learner performance”, said Themba Mola, Chief Executive Officer of KST. 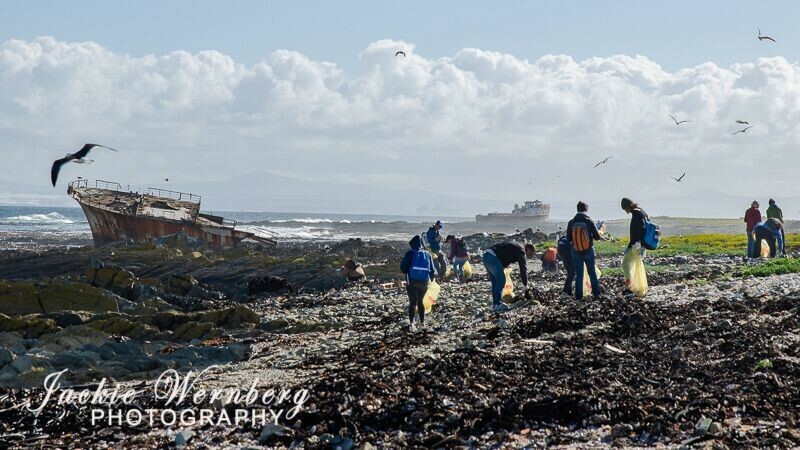 The results of the 2018 International Coastal Clean-up, which took place on Saturday, 15 September 2018, have just been released. According to Kieser, the most recent results showed that broken down plastic pieces, foam pieces, cigarette butts, bottle caps, food wrappers (such as chip packets and sweet wrappers), glass pieces, beverage bottles, straws and lolly sticks continue to be the biggest pollutants on our country’s beaches. Asthma pumps were the most prolific medical items found in the three Cape provinces, whilst in Kwazulu-Natal (especially in urban clean-ups), it was disposable syringes. 4 300 kms were covered to distribute material and arrange logistics over a four-week period.